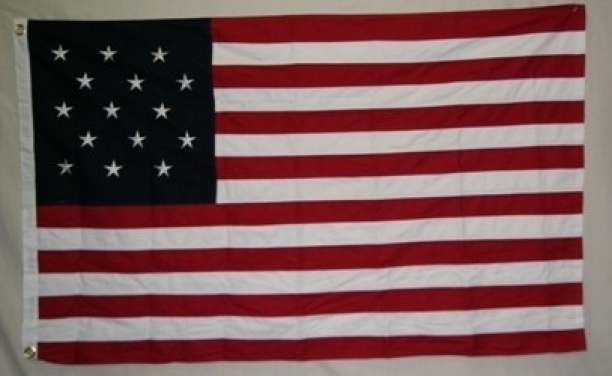 First Flag to have more than 13 stripes. Planned on adding a star and a stripe for each new state. Quickly decided that was not going to work. So went back to 13 alternating red and white stripes and only adding a star for each new state.